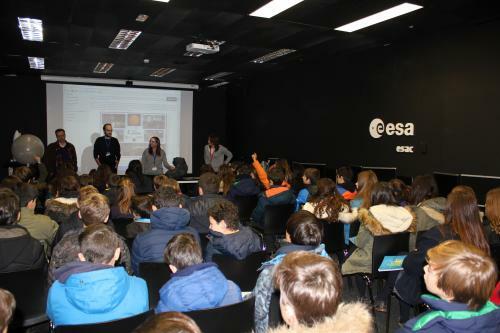 On the 25th of January, we started CESAR Space-Science Experiences for 2017 with the Caude School. 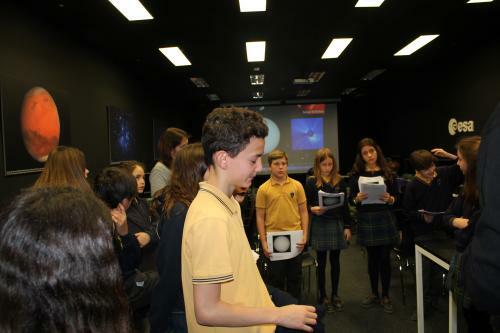 The scientific case within the Space Adventure that the first-year Bachelor students chose, together with their teachers, was "the study of the Sun rotation". 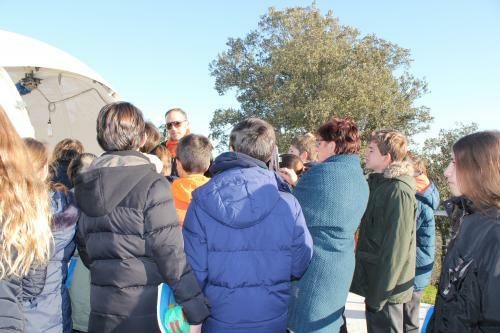 The students arrived at ESAC highly prepared and motivated, after having watched all the videos that the CESAR team have provided to them, as part of their Space-Science Experience that started at their classrooms. The topic of those videos was "What is ESA? ", "Which are the ESA space missions? ", "Which are the missions that observe our planet, which one other planet within the Solar System and which ones further away? ", "What is the ISS and what are they our astronauts doing?". The CESAR team gave the students and teacher from the Caude School a warm welcome answering all the "questions-that-they-always-wanted-to-have-asked-but-did-not-have-the-chance". That was a very special moment. 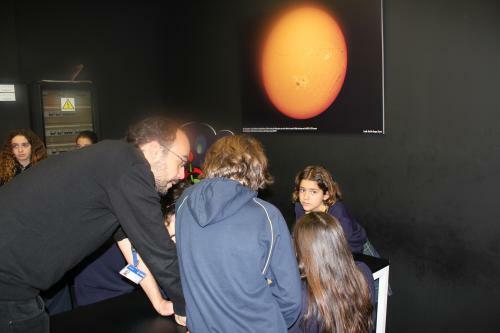 To continue with the surprises we had the privilege to count with our operations engineer from the famous Rosetta mission, D. Miguel Pérez-Ayucar, who led us to the CESAR solar telescope based at ESAC and explained us all the mysteries hidden behind the Sun study and its sun spots. The students were also introduced to the SOHO satellite, built more than 20 years ago as a collaboration between the European Space Agency and the North American Space Agency, still successfully operating and providing unique data from our closest star, the Sun. After all these explanations the students from the Caude School were completely prepared to study the Sun rotation as scientist do, starting with a hypothesis and building their own theory from the data and the calculations. At the end of their research, each group shared their discoveries with the other groups (the local scientific community).